..too many emails to reply. Which is very flattering because it means people are reading this crazy blog of mine. Go figure. I'm honestly not trying to be a jerk. I will get to you soon?!! 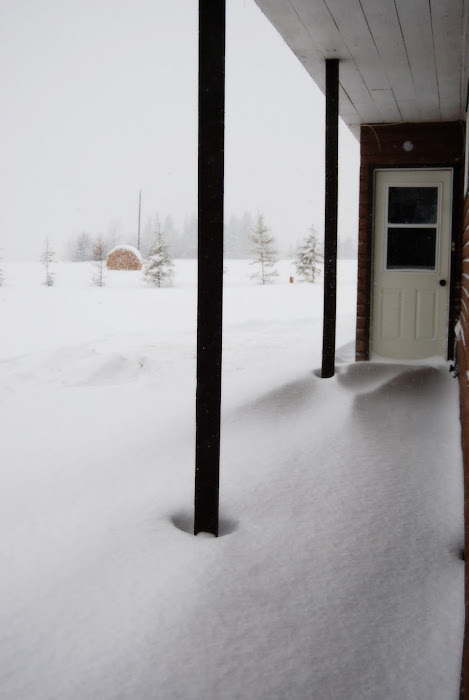 Check out the crazy amount of snow we've been getting here. We actually had a snow day because the school buses weren't running except teachers still had to go to school. Thankfully Darcy made it out of the driveway. This is what I've been up to lately. Working hard in the kitchen. 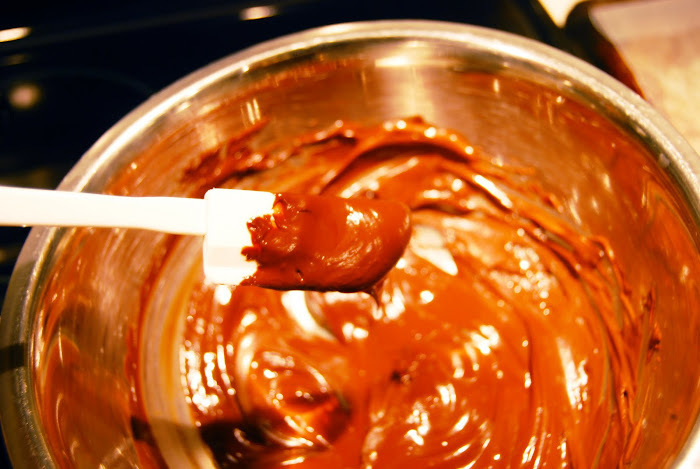 baking, tasting. O.k., the tasting part wasn't really that hard. I'm a huge biscotti fan. And I find this almond biscotti recipe from Joy of Baking to be one of the best. I already ate all the ones I didn't package. Did you know that Biscotti is the plural of Biscotto? Ha! Now you do. 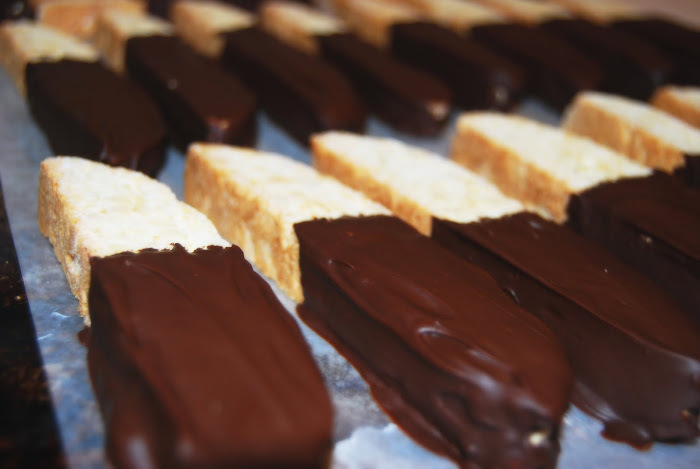 *I laughed reading about biscotti :P Biscotto is an italian word, and i'm italian :) Here those biscotti are made without chocolate, and eaten simply dipped in sweet wine..
oh so yummy looking!! I actually had my first taste of biscotti this year! Have a great holiday! Biscotti and wine sounds scrumptious! Yum!